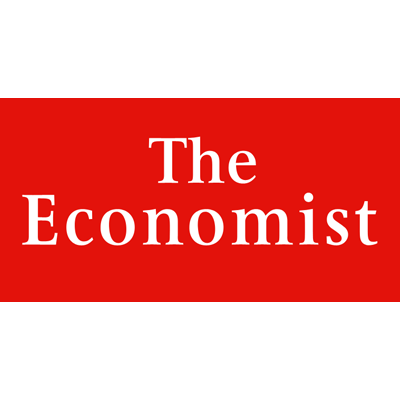 The Economist is a weekly news magazine by the Economist Group and edited in London. “COFFEE is our gateway drug,” jokes Willy Foote, founder of Root Capital. “Then we move on to harder stuff, like cocoa, cashews, quinoa and sorghum.” That is how the firm got started in 1999, after Mr Foote quit his job as a Wall Street analyst, lending $73,000 to a coffee (and cardamom) co-operative in Guatemala. It has since expanded to 25 countries in Latin America and Africa, and in December set up shop in Indonesia, with a loan of $550,000 to an organic coffee co-operative. Root’s business is lending to the owners of small farms in poor countries. An estimated 450m of these smallholdings exist worldwide, typically providing a subsistence-at-best income for more than 2 billion of the poorest people on the planet. Mainstream finance has largely ignored them. They face multiple hardships, including land of poor quality, a lack of infrastructure to get their output to market and the constant threat of being wiped out by extreme weather. 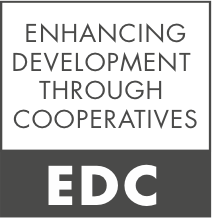 The lack of access to credit for working capital and investment makes a bad situation worse. Microcredit outfits dealing in tiny loans of tens or hundreds of dollars have proved that the poorest of the poor can be perfectly responsible borrowers. Root and a few other specialist lenders are showing the same is true of bigger loans to groups of subsistence farmers. The company says that less than 3% of its loans go bad, a failure rate that would be impressive even among much richer clients. The loans, which come with free advice and training in how best to use the money, are helping farmers increase their productivity and so boost their incomes. The money also protects farmers from having to sell their wares cheaply to the first available buyer. More than half of Root’s borrowers see their income increase by at least 20% a year after receiving a loan; it rises by over 50% for nearly a third of them. Root has been growing fast, especially since it beefed up its eight offices in poor countries. It has supplied its mixture of credit and technical advice to some 550 borrowers, mostly co-operatives that aggregate the harvests of smallholders. In February its portfolio of loans reached $100m for the first time. Later this year the cumulative total of loans it has made since 1999 should pass $1 billion. So far, Root has capitalised on the growing enthusiasm for sustainably farmed or organic goods among consumers in the rich world. That requires the sort of certification of origin rarely offered by the bulk commodity dealers that tend to dominate the market for agricultural exports. Most of Root’s borrowers have been existing co-operatives hoping to become links in the supply chains of firms such as Whole Foods Market, Costco, Unilever and Starbucks, which has backed Root’s expansion with a low-interest loan of $15m. Root itself is a non-profit that has relied on grants for much of its funding. Mr Foote plans to keep it that way, leaving it to commercial lenders to scale up the business of lending to smallholder exporters. Now that Root has shown that the business is viable, he believes, private investors will pile in. Most of Root’s loans of $350,000 or more (around 25% of its portfolio) are profitable at interest rates of no more than 13% a year (well below what microcredit lenders typically charge). Dalberg, a consultancy, reckons the potential market for this kind of lending is $22 billion, based on the 10% of smallholder farmers who are part of some sort of collective sales organisation. Currently, only around $10 billion of this demand is met, mostly by regional development banks that tend to grant heavily subsidised loans directly to individual farmers. Root and six other similar but smaller farm-loan firms together supply around $350m in credit. In the next five years, it expects that to rise by over 50%, as more private capital enters the market. As for Root itself, it will start lending to small farmers who sell their crops locally. Mr Foote hopes to show that they are good borrowers too—something he thinks that is best done as a non-profit. Root does not intend to follow the path trodden by microcredit pioneers such as BancoCompartamos in Mexico, which embraced the idea of profits and went on to have a lucrative IPO. He sees Root’s job as seeding markets, leaving others to reap the harvest.